Protecting biodiversity through research and education. To assist with prompt identification and processing of donations, please include an abbreviated donor name and donation purpose in the bank reference field. Once a deposit or electronic payment has been made, please notify us by email at anita.wildeman@uct.ac.za and Laurel@CarnivoraConservation.org explaining what the donation is for. Correspondent bank details for the USA are available on request. The project would be nowhere without our generous sponsors! Thanks to all who support us, including anonymous SnapScan donors! 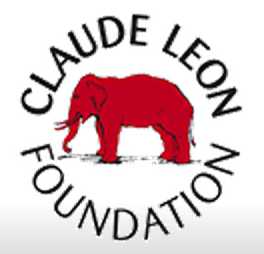 The Claude Leon Foundation provided a fellowship (a living stipend) for Dr. Serieys for two years to support her stay in South Africa to conduct the field work on caracals in Table Mountain between 2015-2016. The University of Cape Town provides funding for students and Dr.Serieys to support both research costs and living stipends to ensure that the project stays on track. SANParks has been not only a critical project advocate, but has provided much logistical support as well as limited funding. The Cape Leopard Trust was been a key project supporter between 2014-2017 – they provided key logistical and financial support without which the project would not be. City of Cape Town has also been an important project advocate and partner, and has provided equipment and funding to the Urban Caracal Project. The Robert Wayne Lab at the University of California, Los Angeles is assisting with preliminary genetic analyses of the caracals. Dr. Wayne has also generously provided funding for anticoagulant rodenticide testing for 15 caracal samples. The Chris Wilmers' lab at the University of California, Santa Cruz has provided 18 remote cameras and expensive radio-telemetry wildlife tracking equipment. They are also providing support in data analyses, and are a home away from home for Dr. Serieys. Stellenbosch University has generously funded two radio-collars, initial disease testing on caracal samples, and fuel sponsorship. We hope to also collaborate with various professors to engage 4th year biology students in honors projects. The Joan St. Ledger Trust generously donated funds that have supported critical field equipment to the Urban Caracal Project. The Frangapani Charitable Trust generally donated a radio-collar to the project. We are so appreciative for their generosity! The Wale Wildlands Trust generally donated a radio-collar and the cost of data downloads for the radio-collars to the project. Thank you! Dan and Susan Gottlieb, who own the beautiful G2 Gallery in Los Angeles, CA, were the first to invest in the project. They kindly donated the funds for two radio-collars! One of the very first Urban Caracal Project supporters, Botanica Wines and Sugarbird Manor offered logistical and financial support to Dr. Laurel Serieys, Project Coordinator, before she even arrived in South Africa to launch the project. Their enduring support show they are proud of their continued affiliation with the Urban Caracal Project. Arborwear provides the official project trousers! Only their pants are tough enough to stand up to our daily crawls and climbs over Table Mountain! Table Mountain Aerial Cableway is a proud sponsor of a radio-collar, critical equipment for the Urban Caracal Project! Recognizing the value of supporting local research that helps provide a platform for local education, Table Mountain Aerial Cableway coordinates with Cape Leopard Trust to also provide educational materials about local wildlife to Table Mountain visitors. Rooikat Ventures, a new small technology company based in Cape Town generously donated towards a collar purchase! Woolworths is enthusiastic about our work and has contributed to the purchase of a desperately needed used 4x4 vehicle for the project. Thanks so much to Woolworths for approaching us to offer your support! The Green Vine Eatery and Silvermist Lodge and Wine Estate have been project supporters since early during the project. They are actively promoting awareness of the project, and are selling project stickers, proceeds of which go to support the project! Visit them in Hout Bay to buy project stickers! Bridgestone are long-term supporters of Cape Leopard Trust, providing tires for our many field vehicles. Thank you Bridgestone for your enduring support over the years! K-Way has been a long-time supporter of Cape Leopard Trust and are official sponsors of the hiking shoes and rain gear for Dr.Laurel Serieys, Urban Caracal Project Coordinator. The shoes have been put to the test as in 1-year she has gone through 3 pairs already! Cape Union Mart is a dedicated supporter of Cape Leopard Trust, providing key equipment budgets each year. Paul and Kim Wolfe are eager caracal fans from Australia and long-term supporters of the Cape Leopard Trust. So they were excited that Cape Leopard Trust helped launch the Urban Caracal Project and generously donated funds to support volunteer intern housing for 3 months! The Holme Family of Noordhoek was also one of the first Urban Caracal Project supporters, providing sponsored housing for Dr. Laurel Serieys during her first 6-months in South Africa. They also provided such a warm, nurturing home that Dr. Serieys. The Ginny Povall of Botanica Wines of Stellenbosch has been a steadfast project supporter from the beginning. Eager to make a unique contribution, she created a marvelous desert wine in honor of Fire Lily, the third caracal in the Urban Caracal Project! Thank you Ginny for your creative contribution to the project! Gina Good and her son Cameron Good have been supporting the team since the beginning– helping us with logistics and funding. Thank you Gina and Roon for all you've done! Copyright © Laurel Klein Serieys, 2015. All rights reserved.